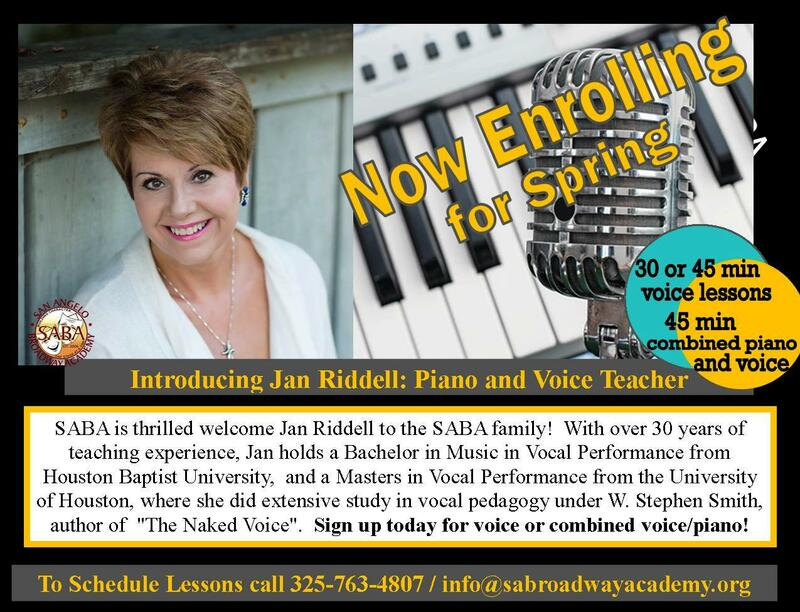 SABA offers private voice coaching and instruction from beginner levels through college level/adults. Students work voice technique and training with one of four voice coaches. SABA voice students have won singing competitions, talent shows, performed for various community events, and gone on to become professionals in both musical theatre and the music industry, as well as eductaion. We suggest that beginning students take 30 min private voice lessons per week ranging from $15-$20 per lesson. Advanced students can have the option to study 45 min per week at $30 per lesson.